We welcome the update on the city's planned new $12 million animal shelter, which Austin City Council Member Mike Martinez says is on budget and, at this point, on time. It is scheduled to open in November. We also applaud the Town Lake Animal Center's efforts in keeping with Austin's no-kill policy during one of the busiest times for the shelter. In June, the center surpassed no-kill goals, achieving a live outcome of 91 percent, meaning at least 9 of 10 animals that came in to the center left through adoptions, foster care or other placements that kept them alive. So about 1 in 10 died or was put down. And June is not a fluke; the animal center has achieved a live outcome of 90 percent for the past six months, and that is no small achievement considering that the center provides shelter for about 23,000 animals, mostly dogs and cats, each year. In the past, it relied heavily on putting stray animals down to manage Austin's stray pet population. This weekend would be a great time for the public to support the center and Austin's no-kill goal. On Friday, the center ran out of space for cats and set up temporary cat cages in administrative offices. To make more space, officials are calling for owners who have lost a cat to come to the shelter to look for it this weekend and to wait a week before dropping off any other pets. "Being a no-kill city takes the support of the entire community," said Abigail Smith, the city's chief animal services officer. Through Sunday, the Town Lake Animal Center is running a $20 adoption special on all ready-to-go pets. The no-kill goal recognizes that some animals must be euthanized because they have a serious illness, are too aggressive or are dangerous. But we're still hearing tragic stories from some volunteers there who say the center continues to put down dogs with behavioral issues brought on from being caged in dismal surroundings for too long. Those dogs would be adoptable if they got better attention sooner. 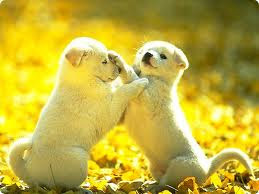 And when the center reaches capacity, as it has now, dogs and cats are at risk of being euthanized. The next big decision regarding the animal center will be made by City Manager Marc Ott, who will select a nonprofit to run the Town Lake animal shelter after the city's new animal center in East Austin opens. The old shelter will become a pet adoption center for at least six months to give the public a chance to adjust to the new site. After that, just one building at the Town Lake center, the Davenport Building, will continue as an adoption facility. Austin has a strong and vocal animal welfare community that makes itself heard at City Hall. This month, the council passed a resolution directing Ott to choose a nonprofit to run the Town Lake shelter that would focus on animals that are the hardest to place. That decision is pending. 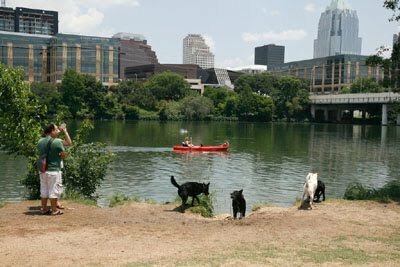 Austin's experiment with no-kill policies is still evolving, and it seems logical that the city will need expanded adoption programs to be successful. We support no-kill policies as the humane way to handle stray animals or abandoned pets. But that effort takes more than adoption centers. It takes educating owners about properly caring for their pets to prevent them from getting lost, providing affordable ways to spay and neuter pets, ensuring pets have identification tags or chip implants to help find owners when pets get lost and working with apartment managers to create more friendly pet policies and affordable fees so that people are not put in the position of abandoning animals when they rent apartments. And it also takes partners, such as Austin Pets Alive and the Austin Humane Society, which rescued 350 dogs and cats and 90 animals, respectively, from the Town Lake Animal Center in June. Let's give them all a hand. Even better, let's help Austin maintain its no-kill goal. Pets have improved the quality of life for so many. We can do the same for them.